Most Americans know this, but a lot of foreigners don’t. What is the difference between a U.S. citizen and a U.S. national? Some of you may say there is no difference at all, while others may say there is a huge difference between the two. If you say they are exactly the same, this article is for you. In this article, we will discuss when a person is considered a U.S. citizen and when a person is considered a U.S. national and why the two terms are not interchangeable. Invest in a real property in the U.S.
U.S. citizens are not subject to deportability. However, a former immigrant’s U.S. citizenship can be revoked if the citizenship was acquired fraudulently in the first place. 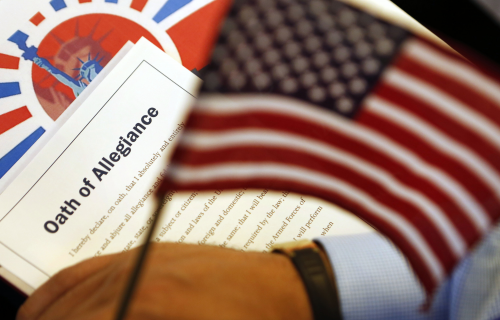 What, then, is the difference between a U.S. citizen and a U.S. national? A U.S. citizen is a person who has attained the highest status in accordance with the U.S. Immigration Law and has acquired certain benefits, rights, and duties from the United States of America, whereas a U.S. national is any U.S. citizen or any person who pledges allegiance to the United States but has not been granted full citizenship. In short, all U.S. citizens are U.S. nationals, but not all U.S. nationals are U.S. citizens. A person is considered a U.S. citizen if he or she was 1) born in the United States, 2) born to U.S. citizen parents, 3) born in Puerto Rico, The Marianas, or the U.S. Virgin Islands, or 4) a former immigrant who was granted a U.S. citizenship upon application. Any person who was 1) born in the American Samoa or Swains Island, 2) born outside the U.S. to two U.S. national parents, 3) born in a foreign country to a foreign parent and a U.S. national parent, or 4) born in Guam in 1898-1950, in Puerto Rico in 1898-1917, in the U.S. Virgin Islands in 1917-1927, or in the Philippines in 1898-1946 is a U.S. national. And of course, U.S. nationals include all U.S. citizens. Both U.S. citizens and U.S. nationals share many rights and privileges, such as Consulate assistance and freedom to work and live in the U.S. However, U.S. nationals cannot vote in any election, hold any public office, invest in real properties in the U.S. territory, or sponsor foreign relatives in their visa application. To enjoy these, one has to be a U.S. citizen. In terms of duties, U.S. nationals do not have to serve on the jury or settle federal income tax, as these are only applicable to U.S. citizens.